The changing world of Delhi’s ‘untouchables’. A churning is taking place in Delhi’s Valmiki Sadan, a landmark of India’s freedom struggle. Home to a Valmiki temple, it is an ‘untouchable’ Dalit settlement where Mahatma Gandhi had stayed from March, 1946 to June, 1947. Valmiki Sadan is also known as Dalit Colony or just the Basti. It lies on Mandir Marg, near Gole Market, a very appropriately named avenue. The stretch here is lined with several houses of worship – Birla Mandir, Kali Mandir, Arya Samaj Mandir, St. Thomas’ Church and of course, Valmiki Mandir. Many great people have tried to get rid India of its caste stigma. No one has succeeded so far. In fact, Gandhi had pointedly chosen this place so as to live along side the Dalits, the ‘untouchables’. The small room where he lived – now immortalised with a writing table, inkpot and charkha, hosted crucial meetings of the Congress. It was visited by that era’s who’s who – Jawaharlal Nehru, Lady Mountbatten, Rajkumari Amrit Kaur, Sir Stafford Cripps. During those times, Valmiki Sadan was a place of mud huts whose residents worked as sweepers. Today there are 2-room flats, a paved road, a Mother Dairy booth and a park complete with seesaws and swings. However, the residents, employed in New Delhi Municipality Corporation (NDMC), are still doing the same old jobs. They are sweepers and rat catchers. This may change. The great-grand children of those who brushed their shoulders with Gandhi, are no longer meekly taking up their parents’ professions. They may also not necessarily look upon the politicians their fathers patronise. The aspirations and icons of this new generation are different. And yet these young people have the baggage of their caste identity to deal with. That is, sadly, not disappearing anytime soon. Early in 2009, I spent a large amount of time talking to five young Dalits, both boys and girls, at Valmidki Sadan. We discussed their parents, passions, dreams and, yes, their caste. Through these conversations, I tried to look through their life and find out how the Dalit world is changing. Of course, a few cannot speak for the millions (around 15 per cent of India’s population is Dalit). The people of Valmiki Sadan are lucky. 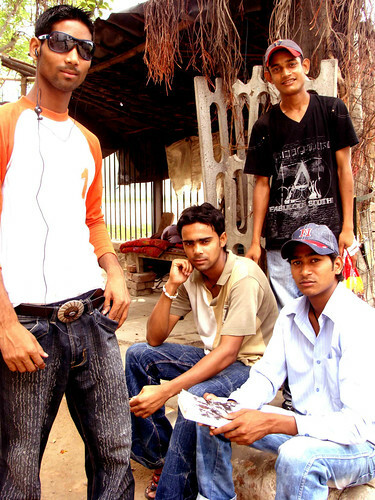 They live in the heart of the Capital and so are the crème a la crème of India’s ‘untouchables’. But for exactly that reason their stories are important. After all, what happens in Delhi today is reflected in the country tomorrow.